Even though we have already reviewed both the Moto 360 (review) and LG G Watch (review), we have yet to do a full comparison of their specs, design, and performance on video. Since these are arguably the two Android Wear watches to consider at this time (sorry, Gear Live), thanks to either their price (G Watch at $179) or premium circular build (Moto 360), we are finally doing that today. This isn’t a video that will talk battery life or viewing in sunlight, since we did that in each of those reviews, but we will instead focus on the design when compared next to one another, and also the performance of each when thrown through a variety of tasks. In this clip, you will see each device run through a series of voice actions, all of which seem to struggle at times thanks to the beta-ness that is Android Wear. It’s hit or miss from one command to the next between each wearable. That can’t be user error, right? Overall, these watches perform on a mostly equal level. Now, that could change with updates to Android Wear that make it more reliable, so for now I would argue that you can’t go wrong with either watch, you just need to decide which one looks better. Down the road, though, the newer processor in the G Watch could give it a major performance edge. 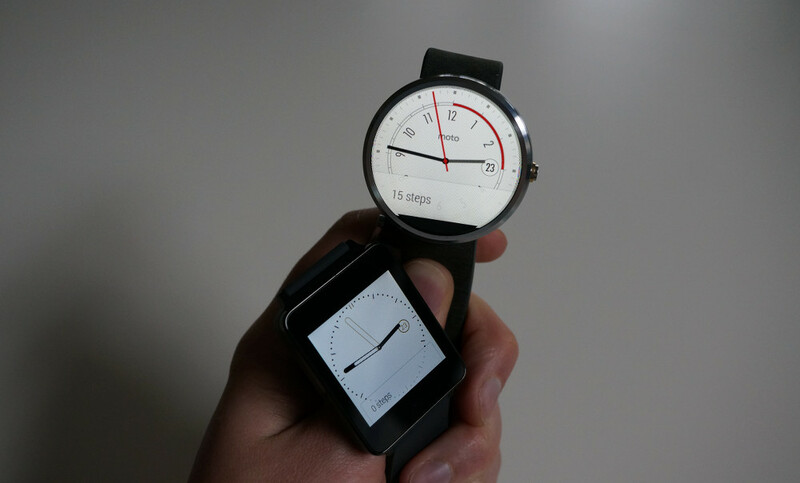 How has your Android Wear experience been with either of these watches?